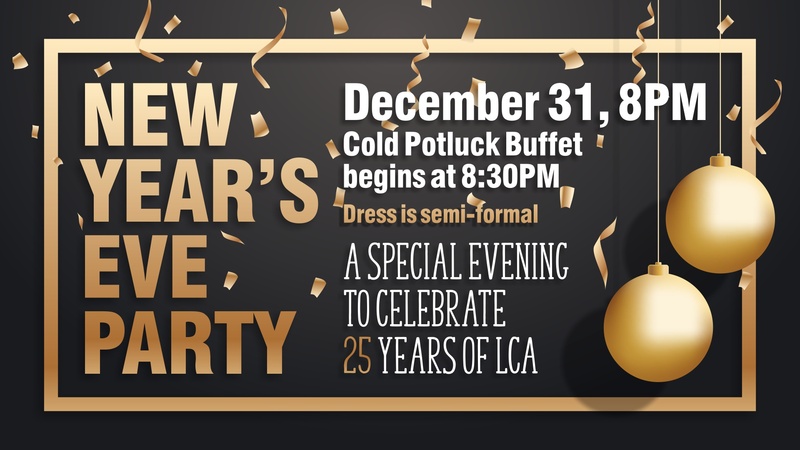 New Year’s Eve Party – Laval Christian Assembly • A church for everyone! With music, stories, testimonies, photobooth and more! For children: with us for the buffet, then upstairs for a pyjama party and movie (bring pyjamas and a blanket). Sign-up sheet available at back of sanctuary for Potluck Buffet.